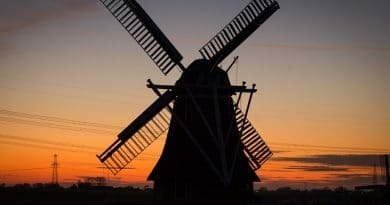 Holland— or Holland style gins— is growing in use as a way to refer to some modern Ginever or Genever-like gins which while not true genevers, they adopt some of the stylistic conventions. Holland style gins have a malty, grainy flavor. In many holland style gins, the base spirit is part of the botanical blend. Many of these gins can be challenging in cocktail applications because they are not purely botanically driven. However, many of these gins also are part of a new and growing segment of the gin market which is for gins which are designed to be sipped neat or on their own. Note that the name refers to a style that borrows from Dutch tradition. The term Holland style gin does not refer to a place. Holland style gins can be made anywhere in the world, different from genever.